Overlooking spectacular views of the sparkling white sands and rolling waves of the Atlantic Ocean from its coveted location on the shores of Highland Beach, Florida is this perfectly crafted coastal estate. The epitome of sophisticated seaside living, this gated beachfront residence sprawls across 5,130 square feet of luxuriously designed living space with four bedrooms, six full bathrooms, one half bathroom and a 2-car garage. Elegantly appointed and exquisitely furnished, this turn-key Highland Beach oceanfront home features a number of recent upgrades and additions including new window treatments with electric shades in the living area, new artwork, new furnishings, new roof, new summer kitchen, new custom-built vintage iron front door with glass inserts, new paint inside and out, new laundry room, recently updated kitchen and bathrooms, new lush landscaping and a brand new Belgard paved driveway. Additional deluxe features include soaring ceilings, marble floors, first and second floor master suites, fireplace, beachfront pool and spa, two covered terraces, 58 feet of ocean frontage and walls of impact glass showcasing stunning ocean views. 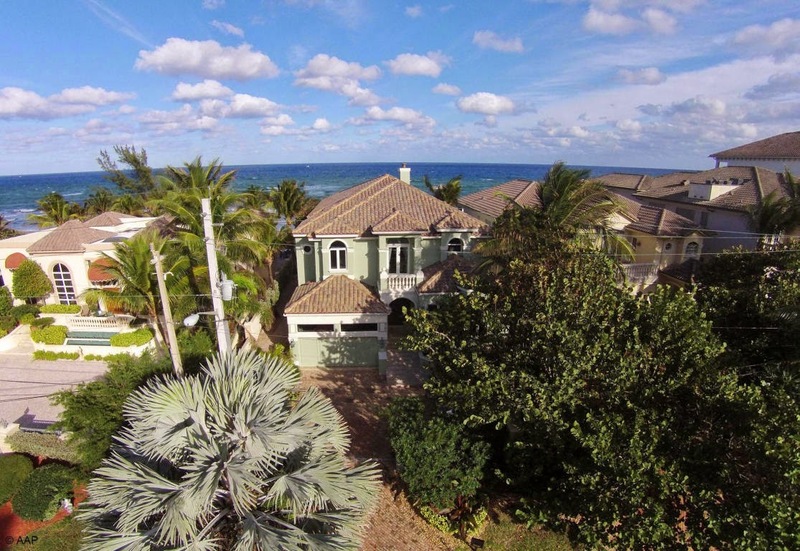 3567 S Ocean Boulevard is located in Highland Beach, Florida and is currently asking $5,395,000. This Highland Beach listing is courtesy of Lang Realty/br MLS# RX-10111804. Highland Beach is a sophisticated seaside town serenely situated just south of Delray Beach, Florida in prestigious Palm Beach County. Nestled along miles of Atlantic coastline, residents of Highland Beach enjoy a premier beachside location just a short drive away from Boca Raton's upscale Mizner Park and trendy Atlantic Avenue in Delray Beach.